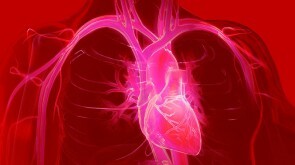 There are few effective treatments for heart failure with preserved ejection fraction (HFpEF). Short-term administration of inorganic nitrite or nitrate preparations has been shown to enhance nitric oxide signaling, which may improve aerobic capacity in HFpEF. Mayo Clinic researchers conducted a study to determine the effect of four weeks' administration of inhaled, nebulized inorganic nitrite on exercise capacity in HFpEF. Among 105 patients who were randomized, 98 completed the trial. During the nitrite phase, there was no significant difference in mean peak oxygen consumption as compared with the placebo phase. There were no significant between-treatment phase differences in daily activity levels. Worsening heart failure occurred in 3 participants during the nitrite phase and 8 during the placebo phase. Among patients with HFpEF, administration of inhaled inorganic nitrite for 4 weeks, compared with placebo, did not result in significant improvement in exercise capacity. The study was published in JAMA.